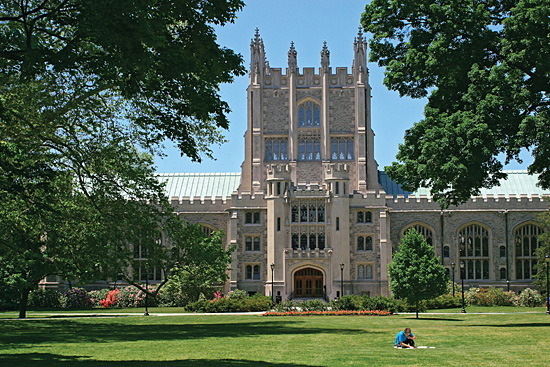 For the past month I have been working my new job as Assistant Men’s & Women’s Track Coach at Vassar College. I’m in charge of the sprinters, hurdlers, jumpers and throwers. It has been bitter sweet to leave SUNY New Paltz after putting so much effort into the program where we were sent our 1st athlete to NCAA Nationals and began to see a significant change in mindset and training. But, the opportunity to take what I’ve learned and re-apply it in a slightly different context has been eye-opening in many ways. I’ve learned more about different energy systems, dynamic stretching, plyos/drills and ways to lift (ie power, body building, etc) in 31 days than I have in many years. The interesting thing is most of what I developed or began to implement was along the right lines of systematic thinking of best practices. Of course, they aren’t always orgininal ideas…my motto is. BEG. BORROW. STEAL (but cite!). Anyways, all of this has made me a better coach at the end of the day. Which allows me to get you were you want to be. So, give me a CALL and let’s get working together because the longer you wait the less time you have!